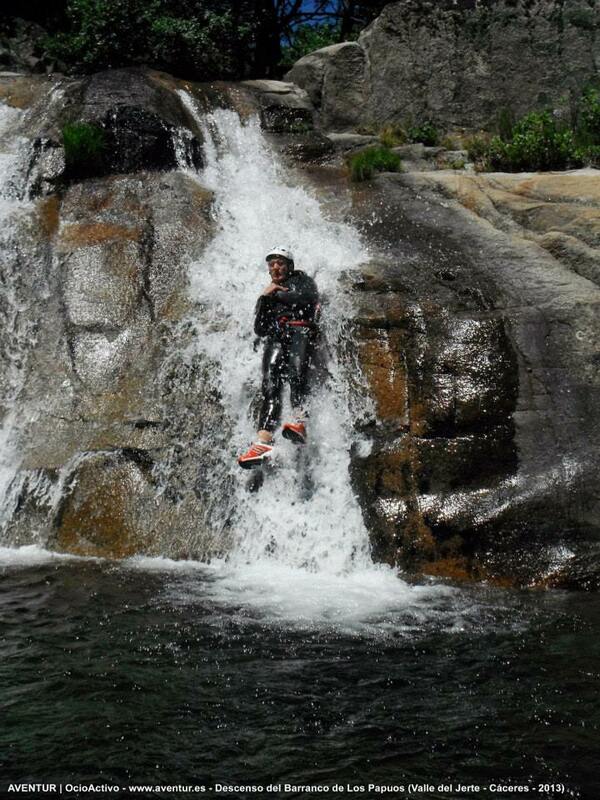 Note: Some of the photos used are taken from our previous trip canyoning in Extremadura. The cover image and photos from Extremadura are not my property. High canyon walls surround me, the sound of rushing waters overwhelms. Moisés, our guide, shouts in my ear and points to a pool of clear, cool water 6 metres below, encircled by cascading rapids. I inch closer to the edge, trying to keep my footing against the flowing water and slippery rock. I turn around, the group give me a thumbs up, Maria looks like she’s going to be sick. I jump. 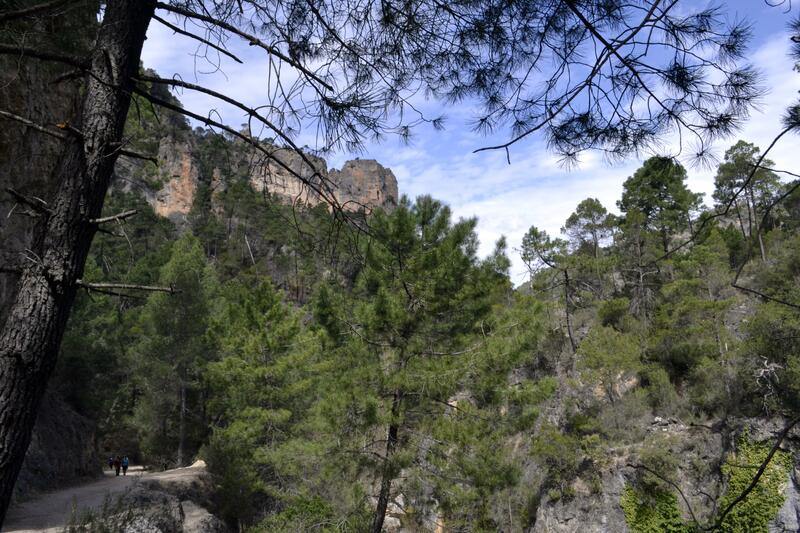 We are in the breathtaking Sierra de Carzola Natural Park, Spain’s largest protected reserve and the second largest in Europe after the Black Forest in Germany. 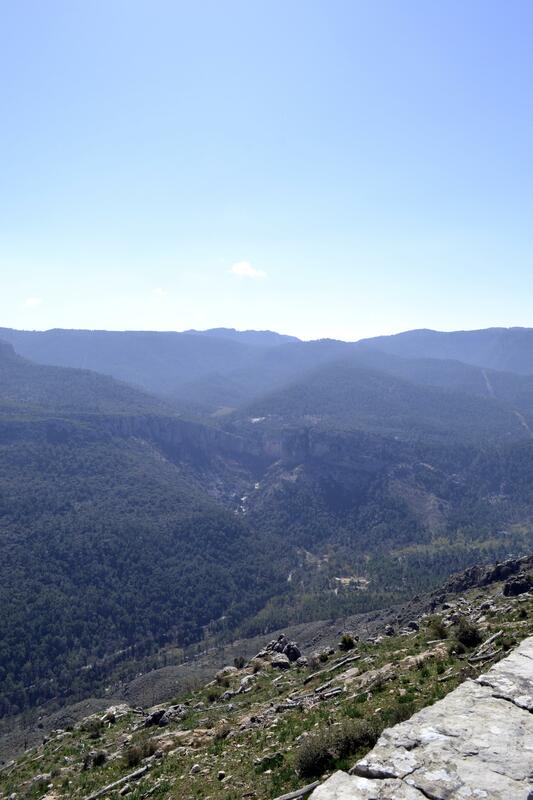 It is a stunning mix of towering rock walls, deep valleys and luxuriant forests of Corsican pine. 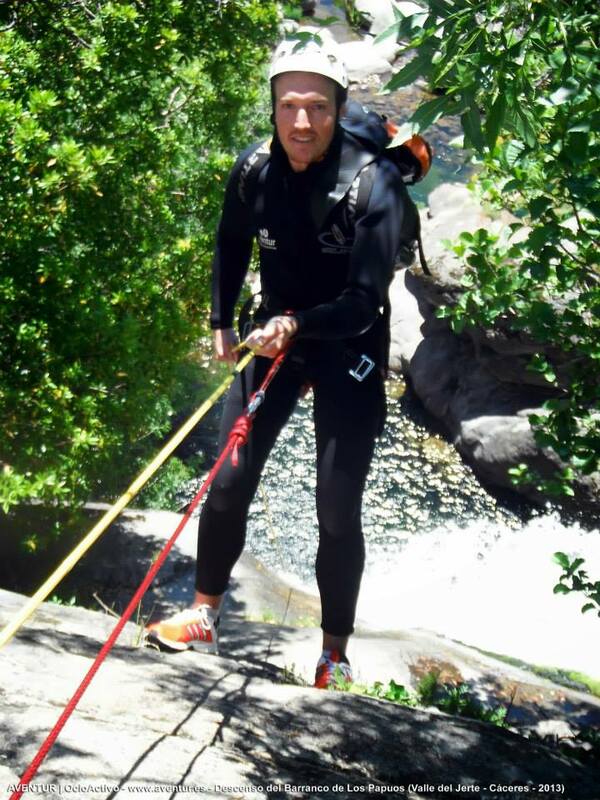 Equipped in wetsuit, helmet, and harness we ascend the Cerrada del Utrero canyon following a high narrow path that clings to the rock side. 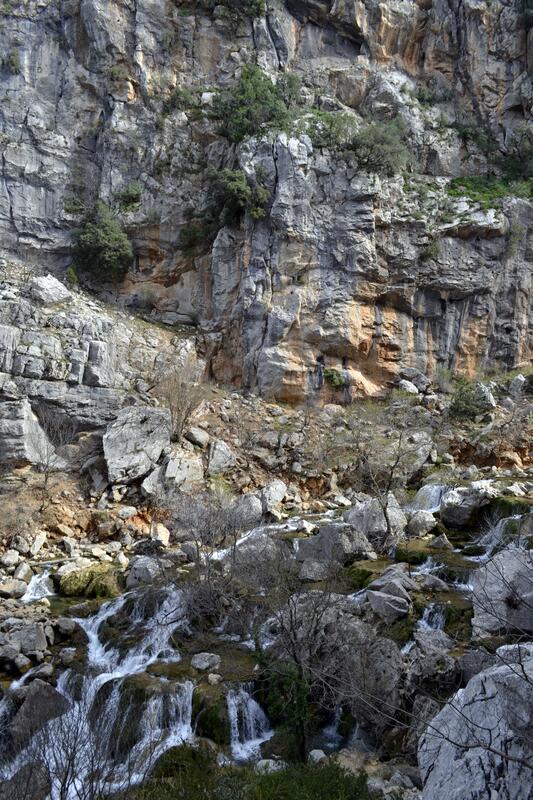 The canyon is beautiful; its walls sculpted out of the surrounding limestone by the River Guadalquivir. Dense vegetation grows in the canyon’s vertical craggy outcrops, stubbornly defying gravity. The path we are following used to be the old road for drovers and their cattle. The canyon’s name comes from the sad story of a young, lost bull (utrero is the name for a 3-year old bull in Spanish). One year, a young bull slipped and fell into the canyon below. It was far too steep and dangerous for the cattle drovers to try and reach it, their only hope was that the young bull would somehow work its way out itself. Trapped (cerrada) between high rock and waterfalls, for two days they could hear the young bulls’ desperate cries and frantic efforts to get out. However, on the third day the canyon was silent. When they eventually found the bull it was already dead. A sad, cautionary tale for budding adventurers. – Knees bent – to avoid injury in shallow water. This is much more exciting than any theme park offering. We skip certain sections of the river – deemed too dangerous due to the spring run-off. At one point we pass directly under the Cola de Caballo waterfall, streaming down the canyon side and engulfing us in a cacophony of spray and noise. In between the jumps, slides and abseils we pass through sections of still, crystal clear water. I lie on my back, ignoring the cold seeping sporadically into my wetsuit. The rock, eroded by water through the millennia, looks like a Dalí painting; curved bowls etched with layer upon layer of limestone, jagged points jut out aggressively. Trout dart amongst the shadows, water boatman skip along the surface, propelling themsleves with strong backwards kicks. High in the sky, vultures, and falcons fight for aerial superiority. Below them swifts screech, dive and roll with astonishing agility. A roaring sound wakes me from my reverie – the next set of rapids and waterfalls, on we go. Hey pimp rocker, http://www.oxfordculturemania.es brought me here. Keep the dream alive Nature Ninja.